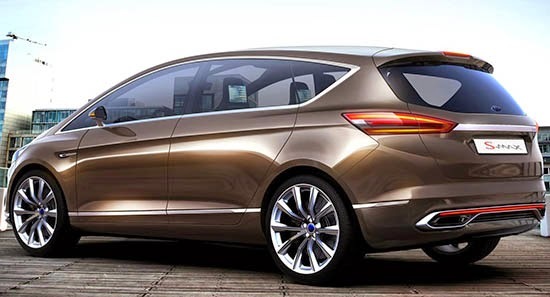 We've all pretty much seen how the next S-Max will look like. It will be a production version of last year's S-Max concept. Which looks great. I think it would be a good idea for Ford to bring it over here. On another note, the S-Max mule was parked next to a giant, covered up pick up truck. Which could be the next F-350. 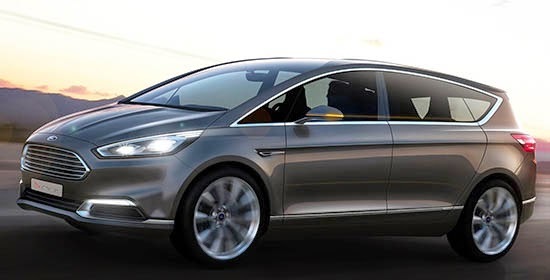 Weird, looks a current gen Ford Galaxy to me. Maybe they're using the old body to cover the new s-max? "Bloated minivans"??? Obviously you don't have any kids. This S-max would have been great when we were a couple with no kids. But as long as I have a kid at home there will ALWAYS be a Chrysler Minivan in the driveway (parked between the 'Bimmer & the Jeep). I really like Fords small vans. The current crop of Toyota, Chrysler and Honda vans are just depressing. Having children does not mean that I will ever own such piggish vehicles. ...Ford should produce this as the Flex replacement. EXACTLY as is....eh Vince? In the same dimensions as the Flex so it would not compete with the Fiesta 5 door...the price point starting at 25K to 35K fully optioned....eh Vince? ...oops , ment to say it should not compete with the Focus. In the Ford product range it would be Fiesta, Focus, Flex...ah sorry Vince...do over? me thinks 12;17PM may be insecure about his minivan or he would not have felt the need to mention other vehicles…..